There's been a bit of a shake-up to Fox's superhero movie schedule, including a change for the X-Men spinoff Gambit. 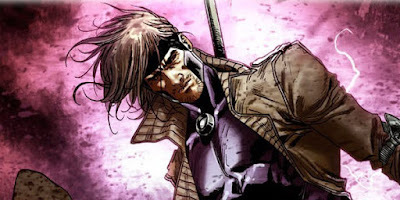 Fox announced today it was pulling Gambit's October 7, 2016 opening date, and the studio added a pair of new opening dates for Marvel movies. The two new movies are under wraps for now, but it's possible Gambit will take one of the slots. Bottom line: We'll see a Marvel movie from Fox on October 6, 2017, and another on January 12, 2018. Comics Alliance has more below.